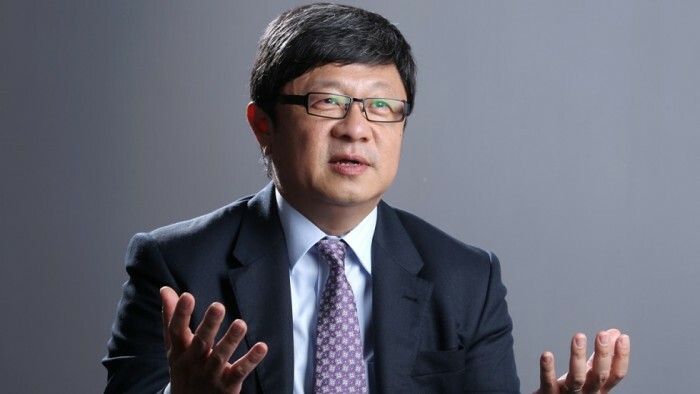 Former CEO of the South China Morning Post, Robin Hu (pictured), who left to join Temasek Holdings is taking on an additional role as a director on Mediacorp’s board. It was first reported in July that he would be taking on the newly created senior role of joint head of its sustainability and stewardship group – a new senior leadership role – with effect from 1 December. Before joining SCMP, Hu was senior executive vice president with Singapore Press Holdings overseeing its Chinese newspapers and newspaper services businesses. He is also a board member of business China and governor of Singapore International School in Hong Kong. In addition to his appointment as Mediacorp board member, three other directors would be coming on board as well, effective immediately. The four new directors will replace Rajiv Wahi, Venky Krishnakumar and Elim Chew, who stepped down after serving on the board for six years each, and Chan Yeng Kit, following his appointment as chairman of Infocomm Media Development Authority (IMDA) on 1 October. Niam Chiang Meng, currently deputy chairman of the Maritime and Port Authority of Singapore (MPA) and board member of Inland Revenue Authority of Singapore, will be joining the board as well. Niam was chairman of Media Development Authority (MDA) from January 2011 to 30 September 2016. He has held key positions over a long career in the civil service including permanent secretary (information, communications and the arts) and permanent secretary (national population and talent division), Prime Minister’s Office, before retiring on 1 Aug 2016. Rajah & Tann Singapore LLP partner Rajesh Sreenivasan will also be appointed as director. Sreenivasan joined the firm in 1998 and is now head and lead partner of the technology media and telecommunications (TMT) practice across the 10 member firms of Rajah & Tann Asia. Lastly, Roy Quek, executive chairman of Thomson Medical Group, will join the Mediacorp board. Concurrently, Quek is executive director and group chief executive of TMC Life Sciences Group, a public-listed health sciences group in Malaysia. Prior to that role, he has held stints as deputy secretary at Ministry of Home Affairs and at Ministry of Health. Quek is also the chairman of St Joseph’s Institution International, an independent, not-for-profit international school. “We welcome Niam, Hu, Sreenivasan and Quek on board. They each bring deep expertise in their respective fields and collectively a wealth of leadership experience, knowledge and insights. Mediacorp will benefit tremendously from them joining us in our journey of transformation, innovation and growth,” Mediacorp chairman Ernest Wong, said. The change is in line with its global presence and a recognition that the vast majority of the company’s revenue comes from its br..